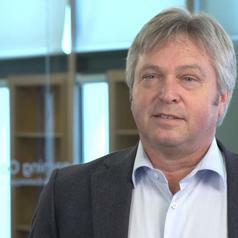 Dr. Mike Dixon is a Professor in the School of Environmental Sciences, and Director of the Controlled Environment Systems Research Facility and program,, University of Guelph. Dr. Dixon joined the University in 1985 as a NSERC fellow after earning his PhD from Edinburgh University in Scotland completing a post-doctoral fellowship at the University of Toronto. Off campus he is the Technology Exchange Coordinator for the International Advanced Life Support Working Group (IALSWG) which is a strategic planning group offering information and personnel exchange between international space agencies such as NASA, CSA, ESA, RSA and JAXA (Japan). He served as Chair of the Space Exploration Advisory Committee (2004-10)of the Canadian Space Agency (CSA) and is a member of the Life Sciences and Technical Committee within the American Institute of Aeronautics and Astronautics. As project leader for the Canadian research team investigating the contributions of plants to life support in space, Dr. Dixon formed the Space and Advanced Life Support Agriculture (SALSA) program at the University of Guelph. This program currently represents Canada’s prime contribution to the International Space program objectives in biological life support based on plants..
Dr. Dixon founded and is the project leader for the research team at Guelph investigating the biofiltration of indoor air as a method of alleviating what is commonly known as “sick building syndrome”.